1890 Wynkoop is located at 19th & Wynkoop Street just south of Coors Field, home of Colorado Rockies baseball. Near the center of historic Lower Downtown Denver (LoDo), 1890 Wynkoop is within easy walking distance of restaurants, pubs, museums, and cultural performances. 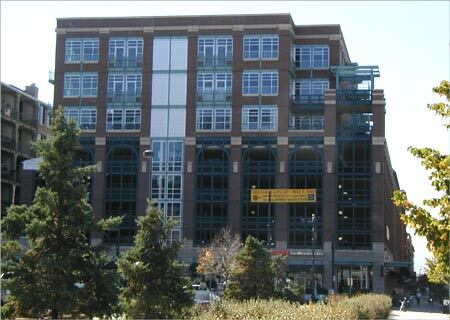 The retail / parking / loft project was completed in 2001 and sits on the site that was formerly a hub of transportation in the early days of the Denver railways. The building is one of central Lodo's newest additions - an 8-story mix of residential, retail and parking, and was designed to emulate it's next door neighbor, the historic Atrium Building. It offers loft residents high ceilings, large balconies and custom finishes throughout.